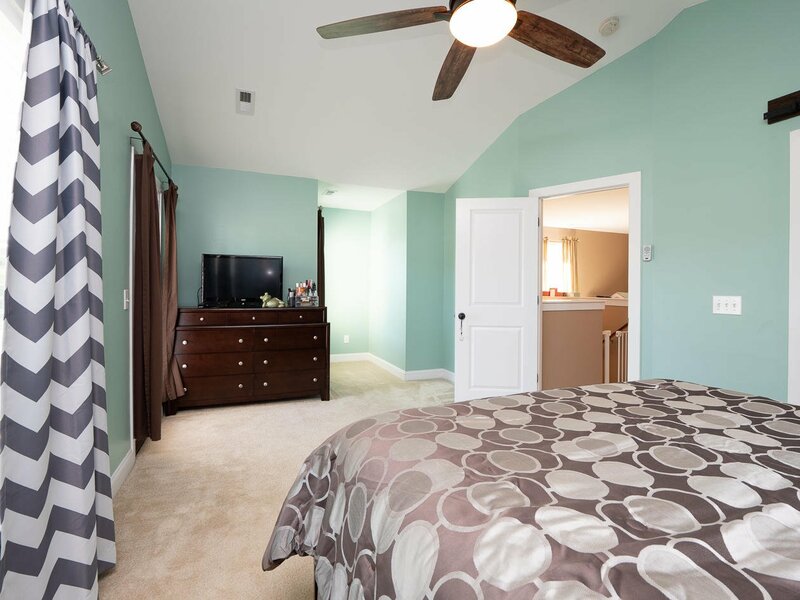 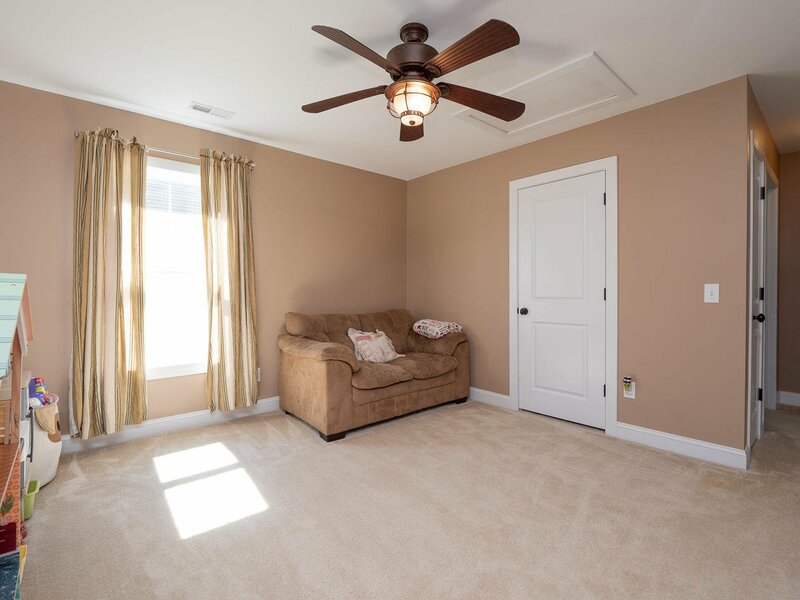 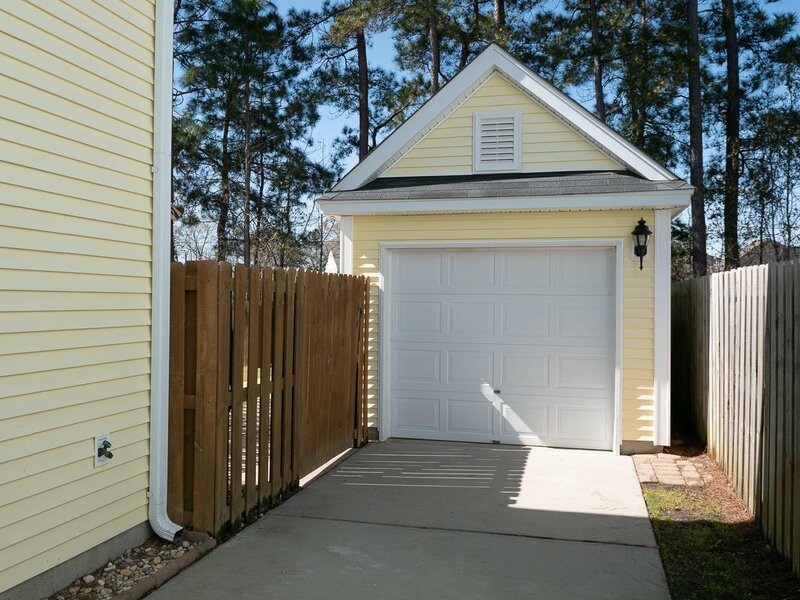 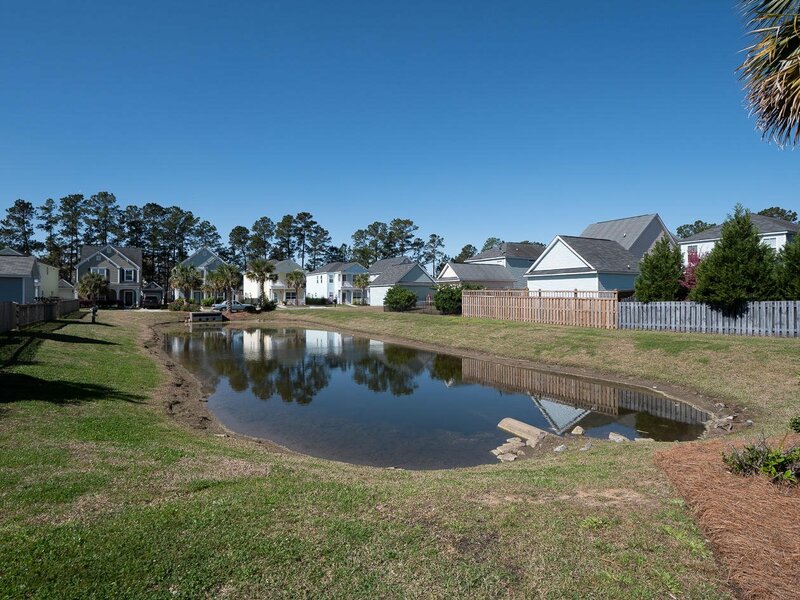 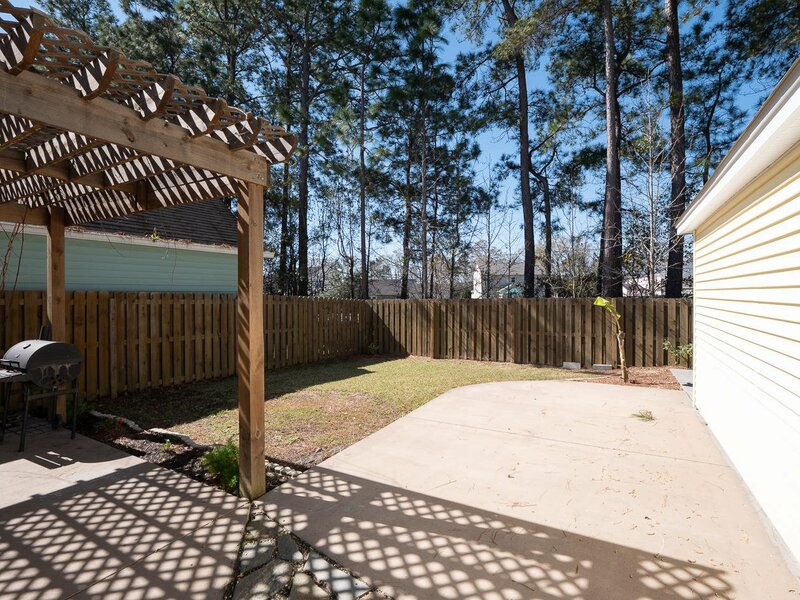 MOVE IN READY in TANNER PLANTATION and walking distance to the new Bowen's Corner Elementary School! 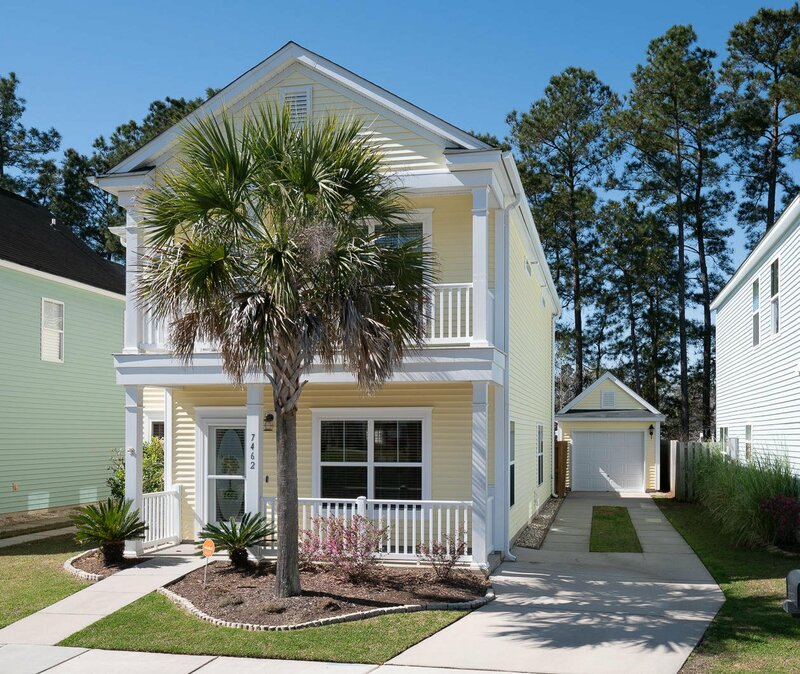 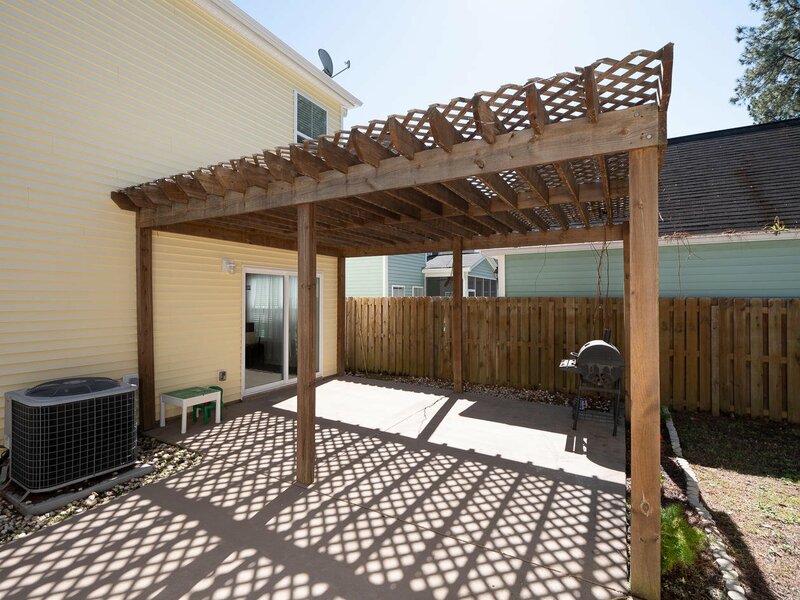 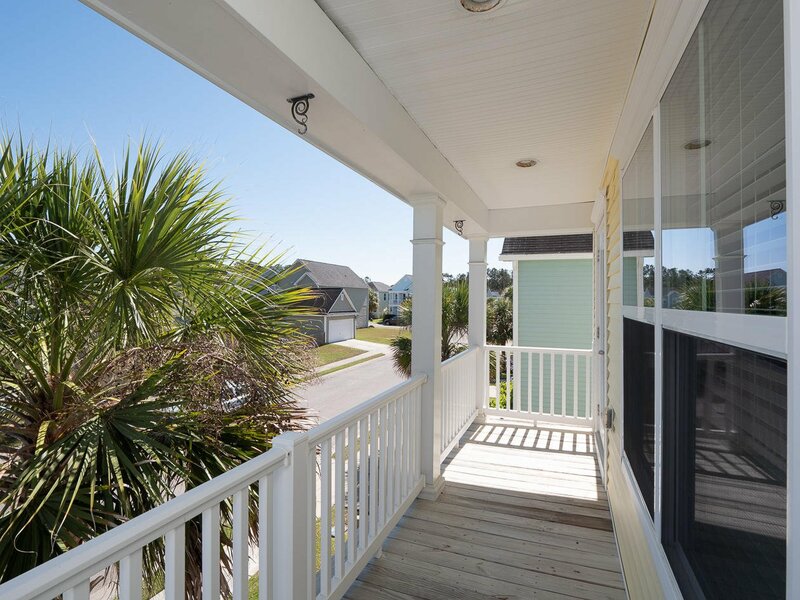 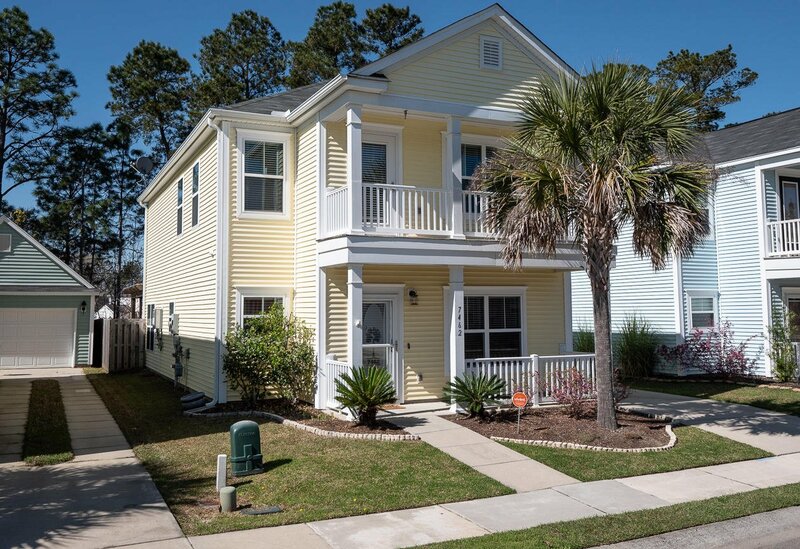 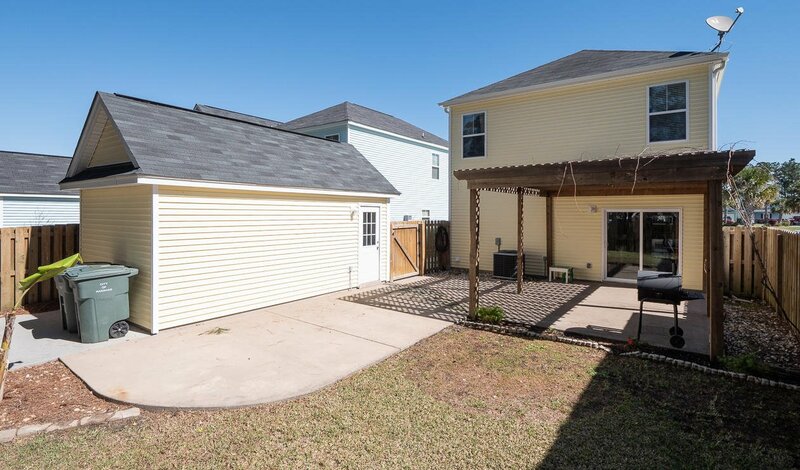 This 3 BR + Loft/2.5 Bath home has an OPEN FLOORPLAN and is full of upgrades. 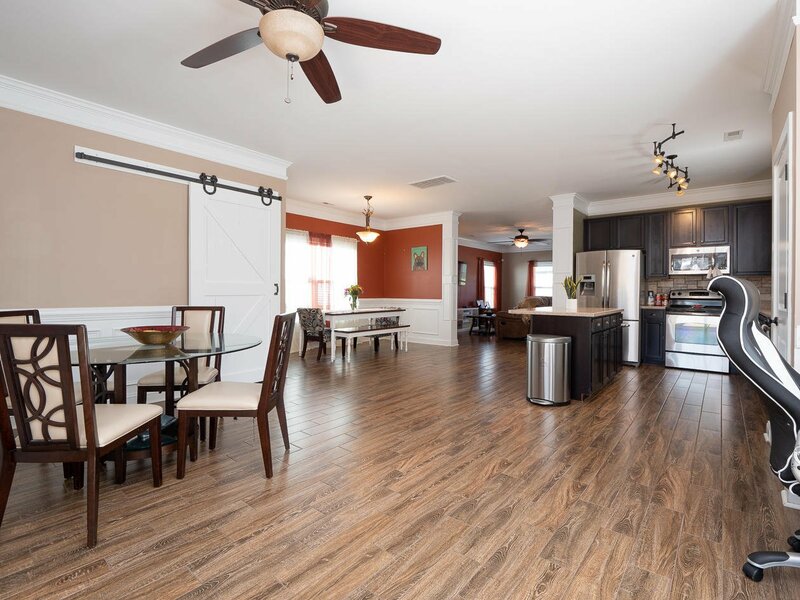 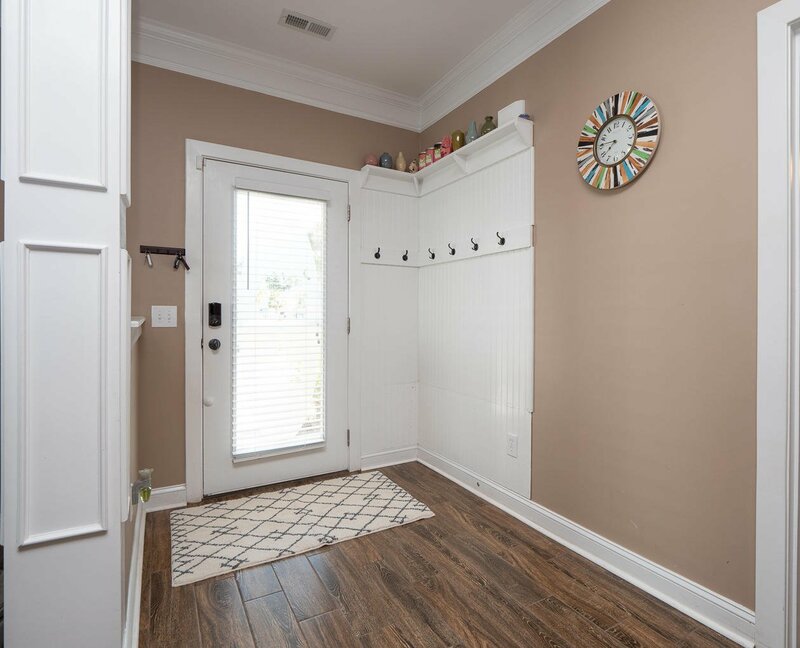 As soon as you walk in the front door you'll see the new HARDWOOD Tile and notice how OPEN, light and airy this plan is. 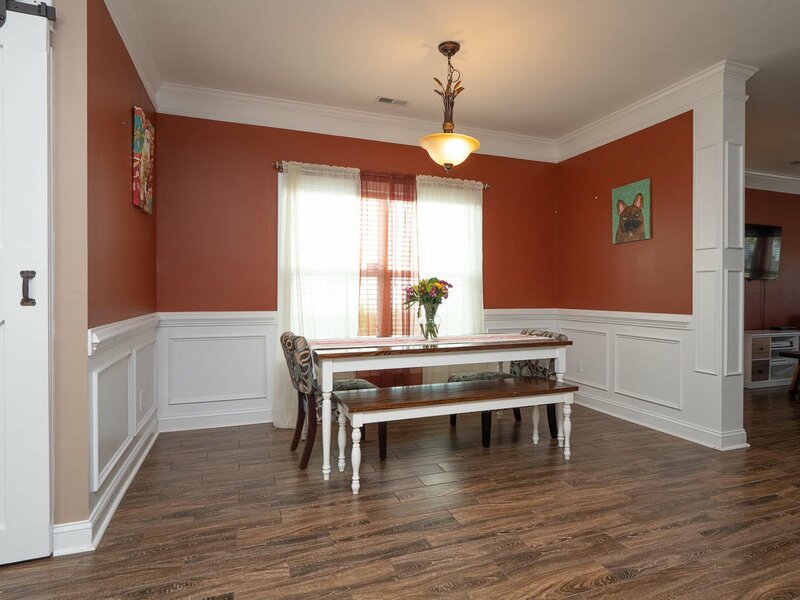 CROWN MOLDING, BEAD BOARD, CHAIR RAIL and other custom moldings through the main level will give you a CUSTOM HOME feel. 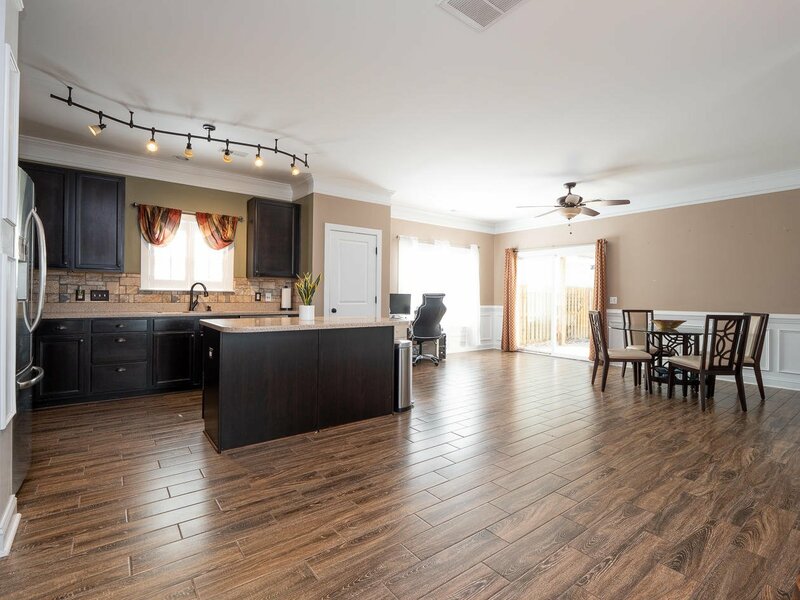 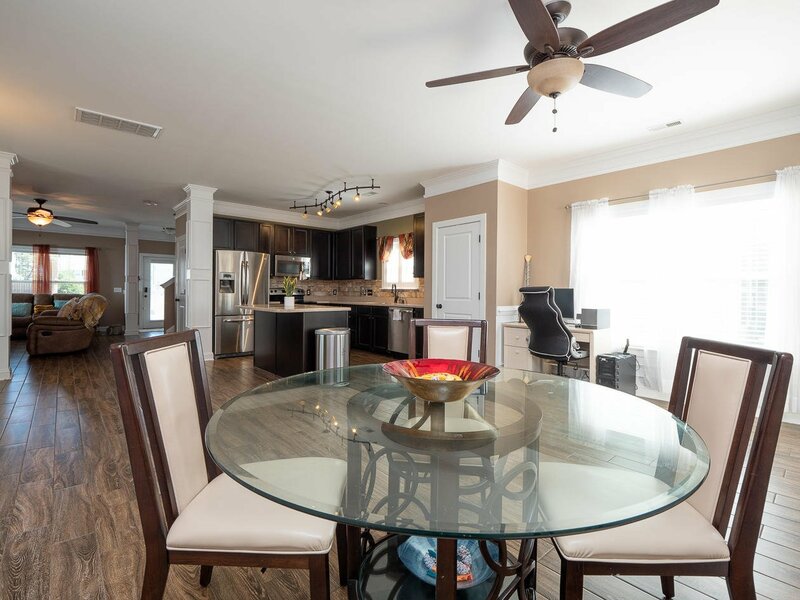 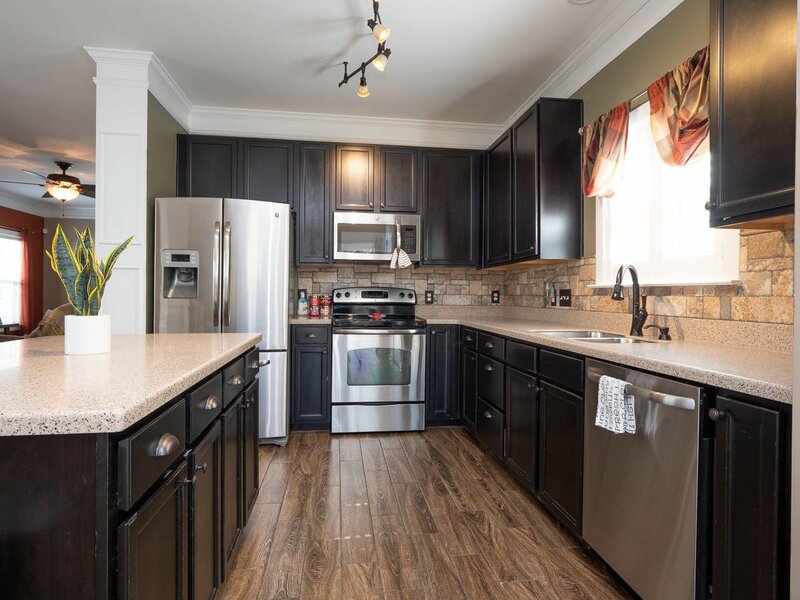 Gourmet Kitchen is huge and it opens to the dining, family room, and additional eating/work space in the back of the main level - a great layout for entertaining! 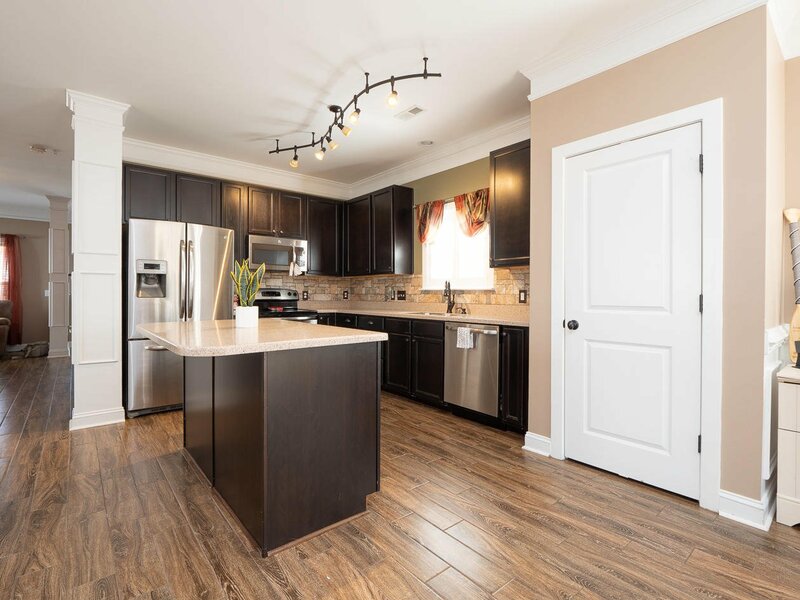 Kitchen also features SOLID SURFACE countertops, KITCHEN ISLAND, STAINLESS Appliances, oversized cabinets and a large PANTRY. 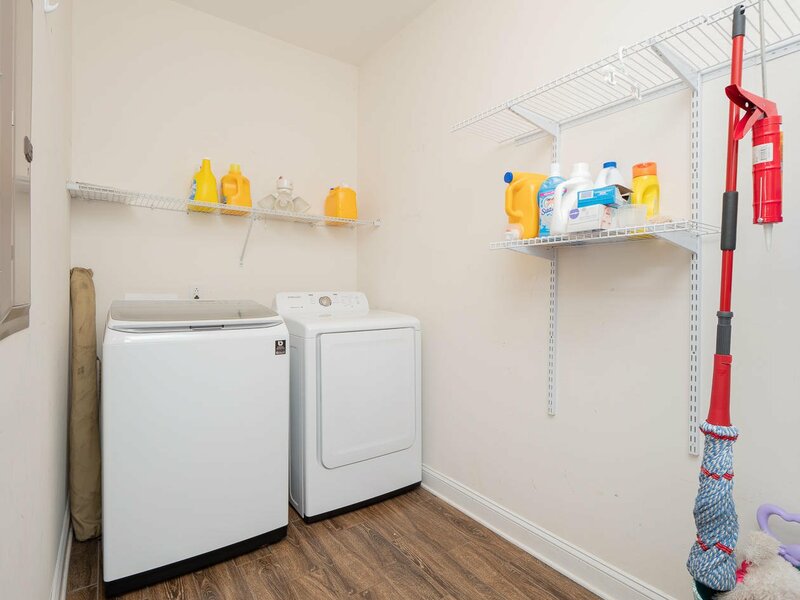 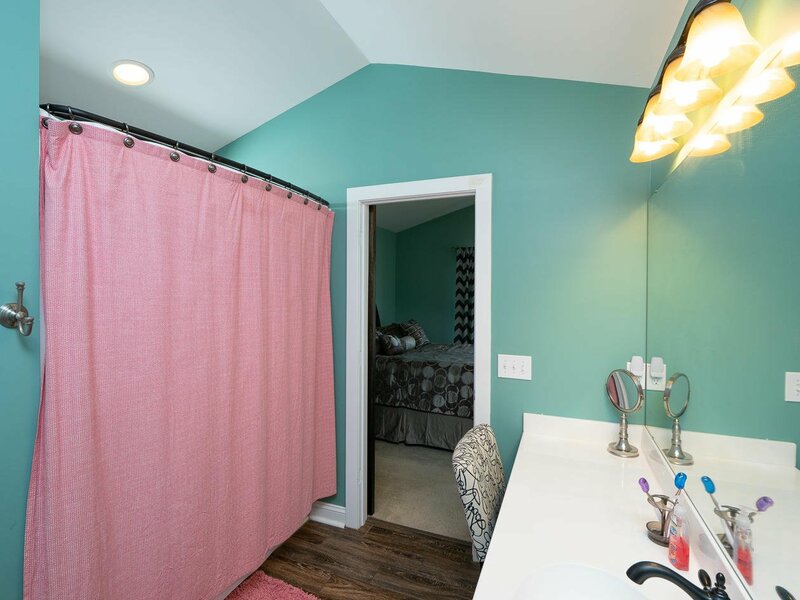 The main level also includes a powder room and EXTRA LARGE laundry room accessed through a BARN DOOR and convenient "under stair" storage. 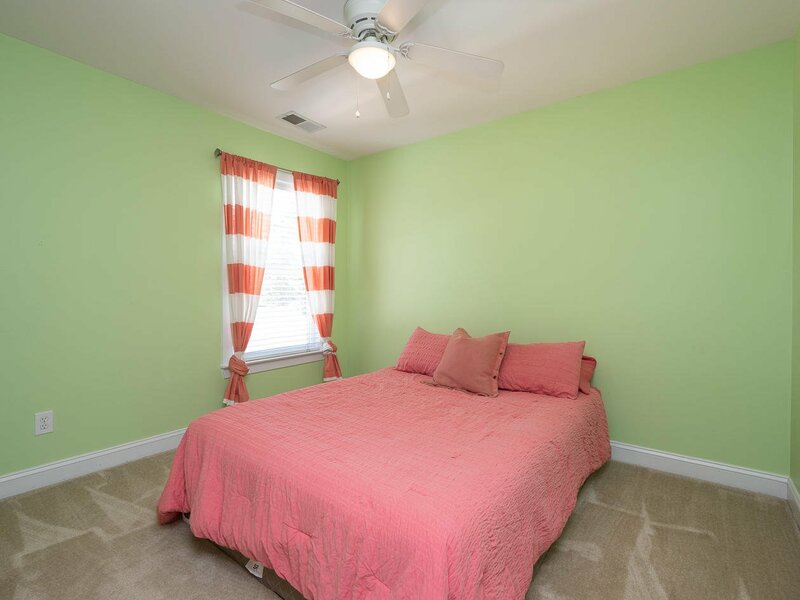 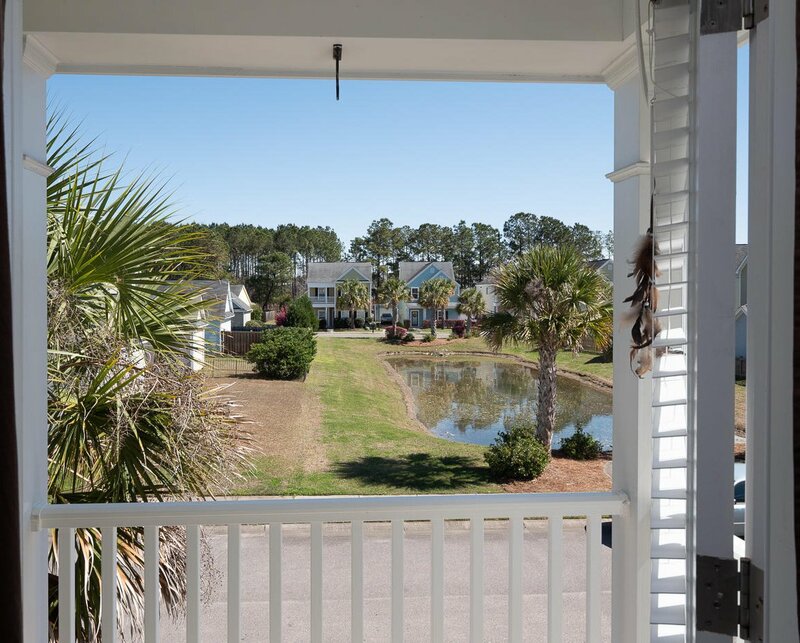 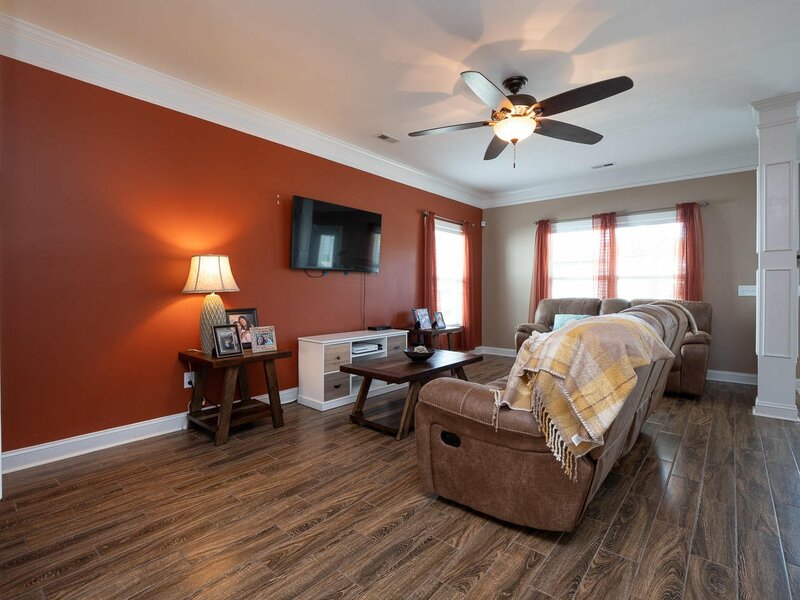 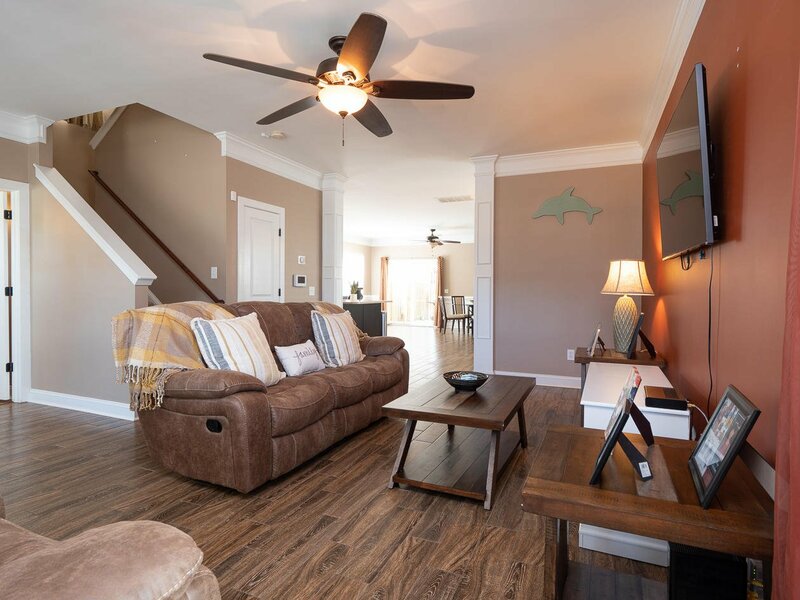 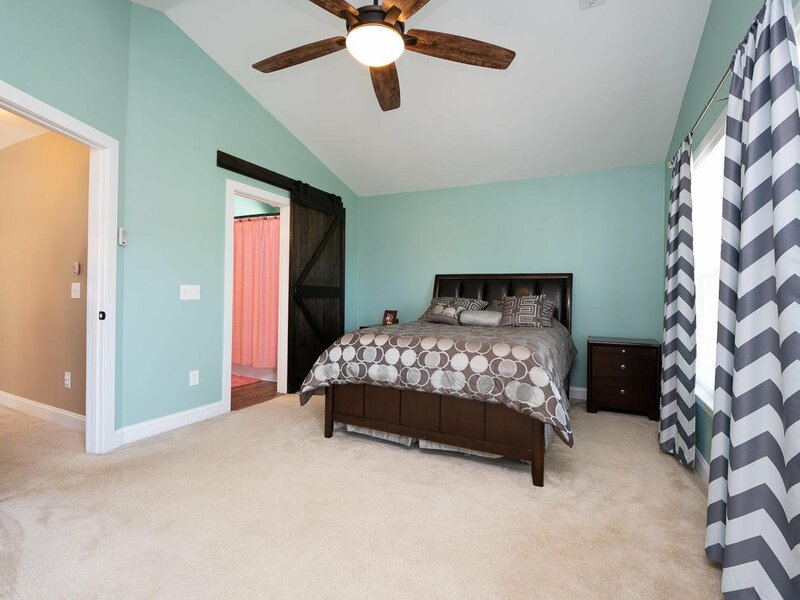 Upstairs is a beautiful Master Suite with VAULTED CEILINGS, access to the second story covered FRONT PORCH with views of the neighborhood pond. 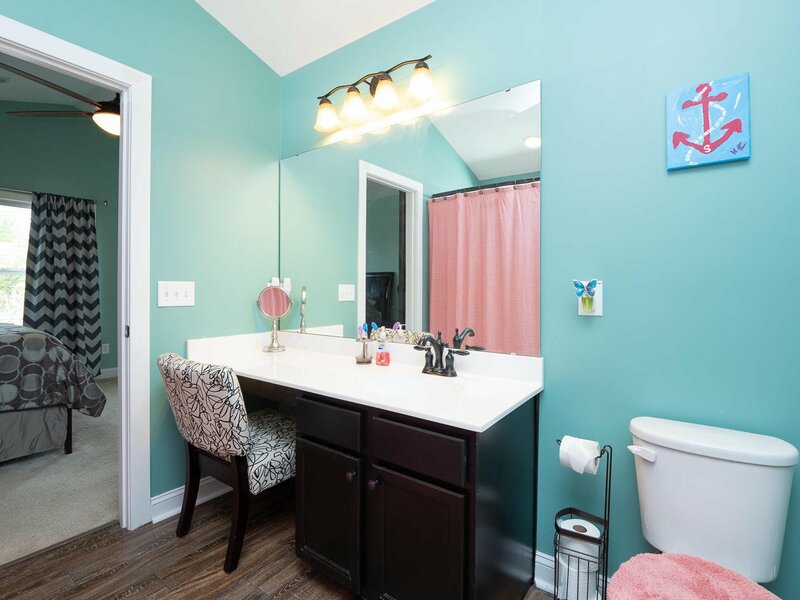 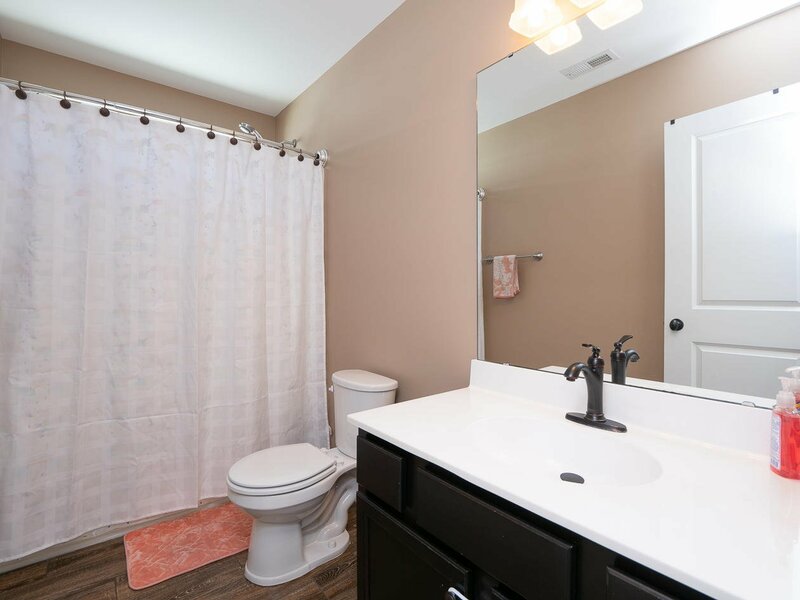 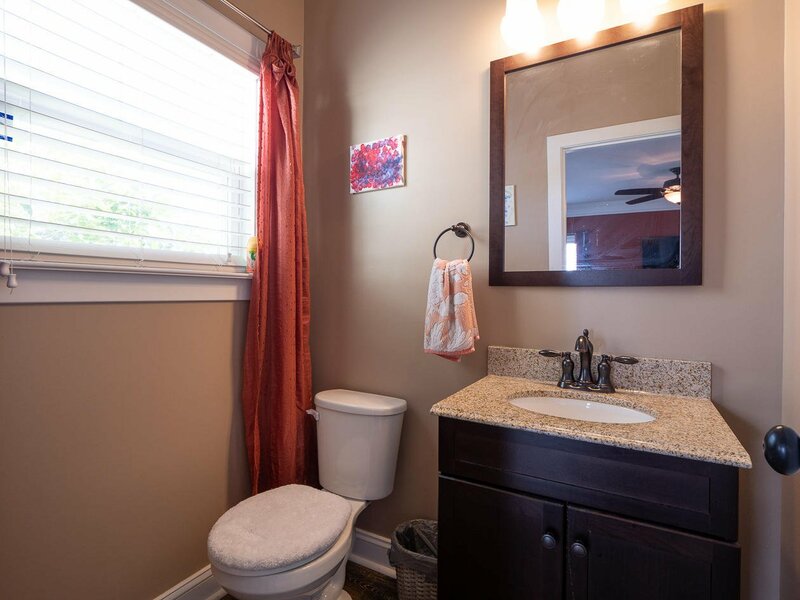 Master Bathroom includes GARDEN TUB and walk in closet. 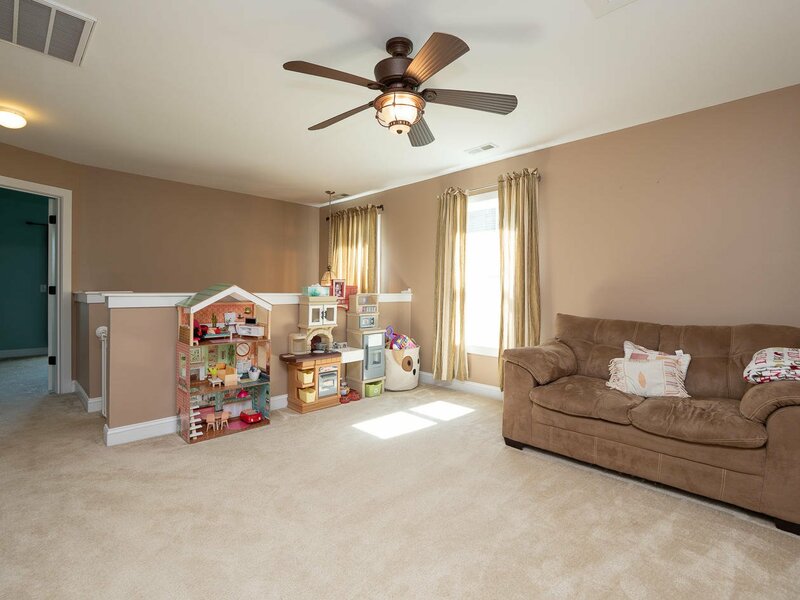 Two other bedrooms are separated from the Master by a LARGE LOFT that is a perfect spot for a playroom or upstairs media room. 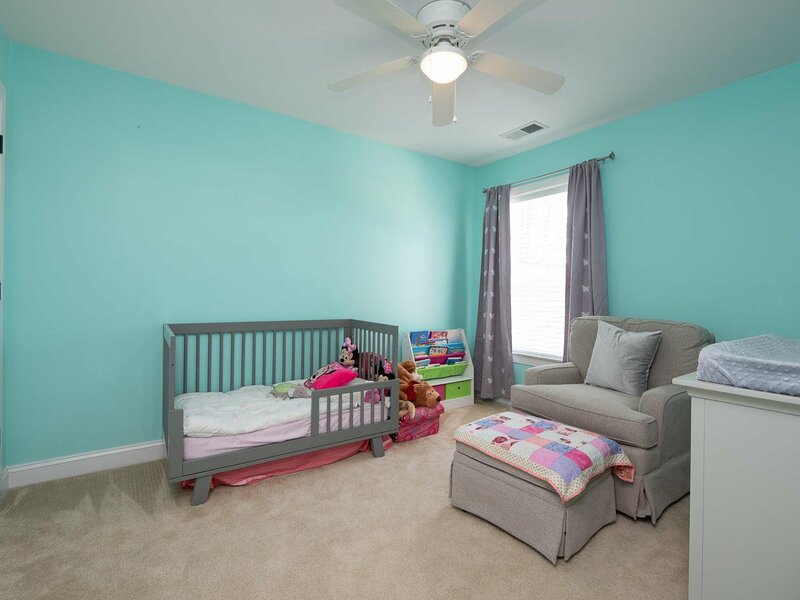 You really need to see this one before it's gone-Schedule an appointment today!